Optional angled steps depending on the angle of the transom. Steps are also supplied with weldges discs to fine-tune the angle against the transom. 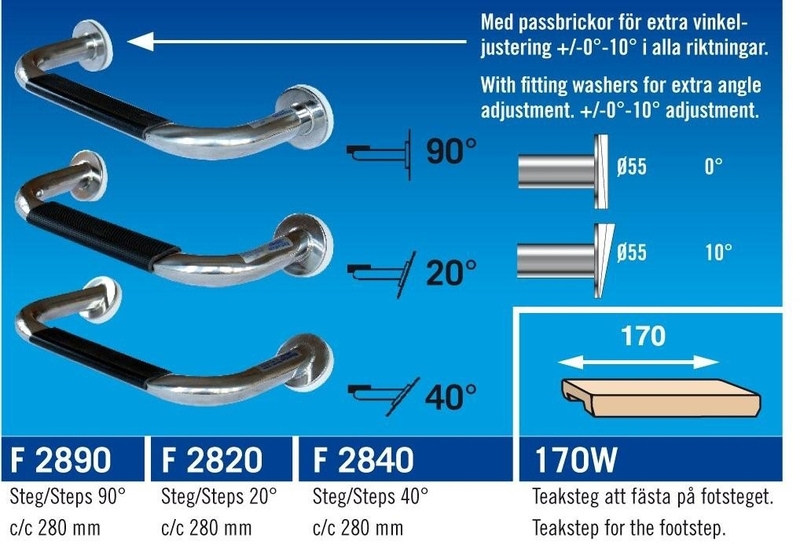 A optional Teak to the step is also available seperately. 160 mm wide, to "grap" over the step.